The rich global culture of surfing stems from various histories that have amalgamated themselves into one lifestyle that has become so much more to thousands of surfers around the world. But what are these histories and do the young surfers really understand the important and freeing legacy that has led to the creed of waves? Let’s take a look back at some of the historical elements that have made surfing what it is today. In 1778, Captain James Cook visited the shores of Hawaii with Lieutenant James King who managed to capture one of the first accounts of surfing in a journal before his Captain’s untimely death at the hands of locals over a boat dispute. There are no entirely accurate accounts of the first Polynesian surfers but the sport was said to originate in the years before Christ, with locals initially bodysurfing before the standup progression. 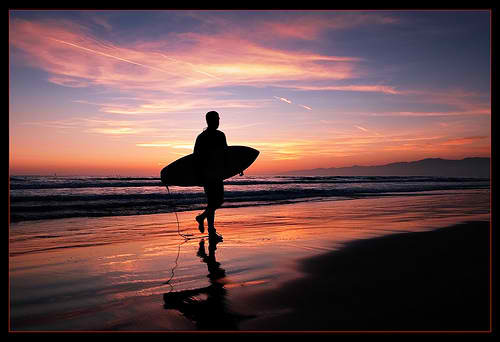 In Hawaiian culture, surfing originated as part of a ritual of battling with the ocean in a sense. The ceremony would even begin before they had entered the water as they asked for protection and mercy from the sea. Peruvians seem to hold the general title of inventors of surfing. In Peruvian art, we see depictions of surfers laying on their bellies and even clay sculptures of wave riding have been preserved. Surfing was a sign of affluence to some extent. Cabilleto de totora is the term used to describe the hollow, reed boards that were originally used by Peruvians, which easily slid down the waves but lacked the hydrodynamics of more recent boards. North Americans and Australians also played an integral role in the sports’ development and deserve a mention. This may be why surfing is so popular in these areas today. With some of the worlds most recognized and talented surfers hailing from the shores of Australia – thanks largely to their close proximity to New Zealand – it is clear that surfing has and will always be a valuable part of their lifestyle. In fact the development of surfing happened mostly in California, Hawaii and Australia in modern times after it was re-popularized in the early 20th century. Acts like the Beach Boys firmly cemented the place of surfing in popular culture and the story of a group of innovative surfers called the Z Boys memorialized what it was to be a surfer in the sixties and seventies. While the history of surfing is a rich and diverse story that cannot be told in one sitting, it is worth looking into further. Though its origin and exact beginning are unknown, it is safe to say that a number of cultures contributed to its existence today at very early stages. As the culture continues to grow we see new countries lending their own significance to the sport and though it may have lost some of its original meaning, it has taken on a new form for modern surfers who love the ocean. This entry was posted in Surfing, Water Sports and tagged History, Surfing. Bookmark the permalink.